Active people make full use of their wheelchairs in their everyday life. They also frequently transfer in and out of their wheelchair. To them, a wheelchair cushion has to provide comfort and stability, it has to prevent them from developing pressure ulcers, and all of this at the lowest weight possible. Vicair’s solution is the Academy Active. 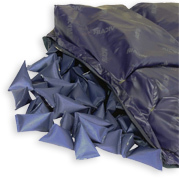 This wheelchair cushion is a combination of the unique Vicair technology and ergonomically shaped foam. Vicair’s solution is the Academy Active. 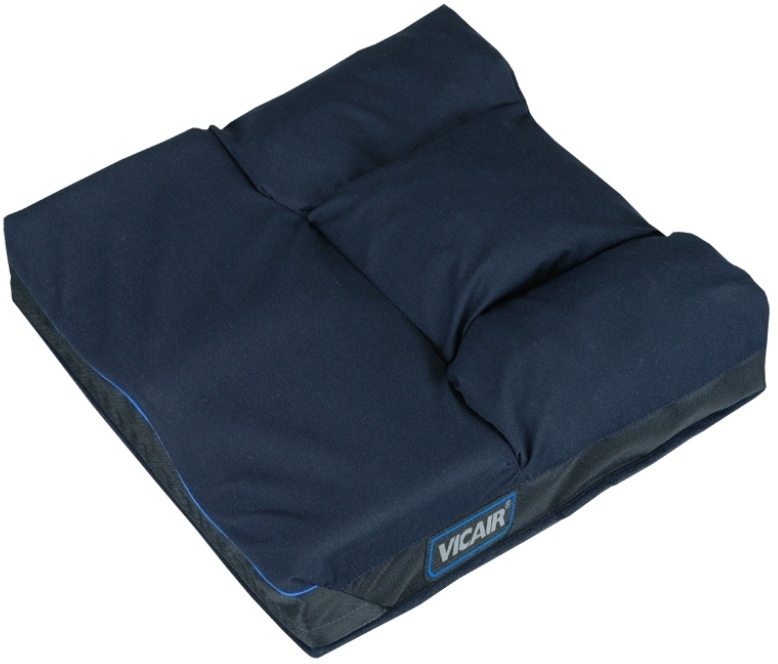 This wheelchair cushion is a combination of the unique Vicair® air-technology and ergonomically-shaped foam. The weight of the Academy Active is low. The 45x45 cm version of this 6 cm high cushion weighs 700 grams and teh 9 cm high version weighs 1,100 grams. Foam: The front of the Active is made of ergonomically-shaped foam. The foam enables the user to make an easier transfer and provides a great sense of stability. Air: The cushion’s back side has three compartments with air-filled SmartCells™. This part of the cushion provides comfort while sitting and helps to prevent pressure ulcers. The cover is made of a comfortable watertight -yet breathable- textile and has a pouch for storing things like keys, a wallet or mobile phone. Average weights of the 6 and 9 centimeter versions are 700 grams and 1,100 grammes.